VIDEO: What Problems Might Blockchain Solve for Government? 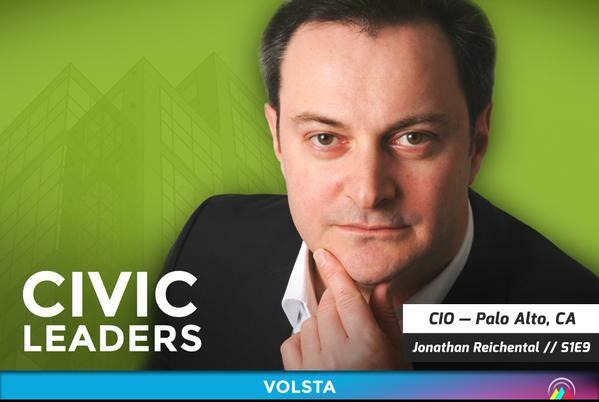 DisrupTV Featuring Dr. Jonathan Reichental, City of Palo Alto 9.16.16 from Constellation Research on Vimeo. PODCAST: What Will The City Of The Future Look Like? Assuming that current trends continue, our future belongs to cities. Already half of all humans on the planet live in cities, and by 2050 a full 70 percent of civilization will live, work, and play in an urban environment. To get a sense of the scale and speed of this global transformation, the United Nations says that 3 million more people move into cities per week. It’s creating staggering challenges. Cities already burdened with intractable problems experience a constant stream of new arrivals all requiring housing, jobs, energy, transportation, and so much more. Urbanization has enabled so many of us to rise to a higher quality of life, but it has also created unprecedented problems that are quickly undermining the benefits it once created. Anyone who lives in a city sees and experiences these issues first-hand. This isn’t an abstract topic. Together we must commit to bold new solutions. To create a future urban environment that is healthy and sustainable will require a new operating system for our cities. What do I mean by a city operating system? Every day, in thousands of cities around the world, a cycle repeats itself. For billions there is a march to work, school and other activities. Machines spin up. Transportation systems engage. Energy is produced and consumed. Products are made. Data flows. Buildings heat and cool. Services respond. By evening, we’re home, ready to rest and begin again tomorrow. There’s a complex system of interdependencies that enables this all to function. It’s a city operating system. For most of us, experiencing these mechanics every day is both amazing and exasperating — sometimes simultaneously. We owe it to ourselves and to future generations to create smarter cities. Today, under duress, this operating system is largely inefficient and its fragility is glaringly exposed. If you sit for hours in traffic bumper to bumper or press up against one another in a train or circle endlessly searching for a parking space, you know our transportation systems are broken. If you get frustrated attempting to find city information or eliciting a city service or trying to have a voice to influence change in your community, you know municipal government can do so much more to meet expectations. Around every corner, time after time, we all experience the product of an urban environment in desperate need of reinvention. We owe it to ourselves and to future generations to create smarter cities. What will it take to create this new operating system? First we need the motivation. Are we sufficiently convinced that radical innovation is needed? The evidence suggests that we’re moving in the right direction. From India’s 100 smart cities initiative, to impressive projects in Amsterdam, Singapore, and Palo Alto, California, to new cities like Songdo in South Korea, Yachay in Ecuador, and Masdar in the United Arab Emirates, there’s a remarkable new momentum for change. But these cities and their respective leaders still represent only an elite group that are both talking and doing. It’s a good start. What these first-movers have in common, too, are the unique qualities of leadership, vision, and an appetite and permission for some risk-taking. In other words, they have the prerequisite attributes of culture that is necessary for creating a new operating system for their cities. It’s not impossible, but it will be harder for those cities without these cultural qualities to embrace the essential reinvention ahead. It will come, but it will take time. It’s an opportunity for new leaders and a push from the private sector to enable some of that new culture to emerge. Next, a new operating system will only emerge through partnerships and civic engagement. Given the huge costs and an almost infinite number of other competing priorities, local city governments will be unable to assume the responsibility necessary for building these smarter cities alone. There’s ample opportunity for a myriad of partnerships with the private sector, with academia, federal agencies and the local community. Local governments are good at and well-positioned for convening organizations and individuals. Many cities already host challenges, hackathons, and meet-ups; they create incentives and platforms for participation; and they invite problem solvers to co-create. These are great starting points. Ensuring that local government is accessible and open will help get results. Cities with open data portals help to unleash valuable insight that is used to build solutions and drive decision-making. Finally, we’re going to need a whole new generation of technology innovation. We already see the advantages of mobile apps that help people find parking spaces, monitor and manage their energy use, interact efficiently with city services, make informed environmental choices, cycle safer, elicit medical assistance and so much more. We see how traffic signals will soon work in concert with connected cars to help with traffic flow. We’ve seen cities from San Paulo, Brazil to Los Angeles, California reduce crime by using data and intelligent software. Forward-thinking cities are experimenting with the Internet of Things to connect all manner of infrastructure to data networks. This connected infrastructure is providing completely new capabilities such as the ability to more easily detect and report water leaks; for empty parking spaces that announce themselves; and for a series of monitors that can initiate the timely dispatch of public safety personnel in an emergency. But this is just the beginning. A new operating system for cities is going to require big thinking, new ideas, and all the attendant new technologies, skills and people that emerge from this innovation. History demonstrates that the capacity for human ingenuity particularly in the face of overwhelming adversity is a powerful force. If you’re an optimist like me, you’ll see the creation of a new operating system for cities as an incredible opportunity. There’s a lot to be concerned about as we look out into the future of our cities. We’re facing unprecedented challenges. History demonstrates that the capacity for human ingenuity particularly in the face of overwhelming adversity is a powerful force. Today we face a crossroads. A path that leads to the reinvention of our cities and another which sees the continuation of the rapid decay and decline of our urban spaces. 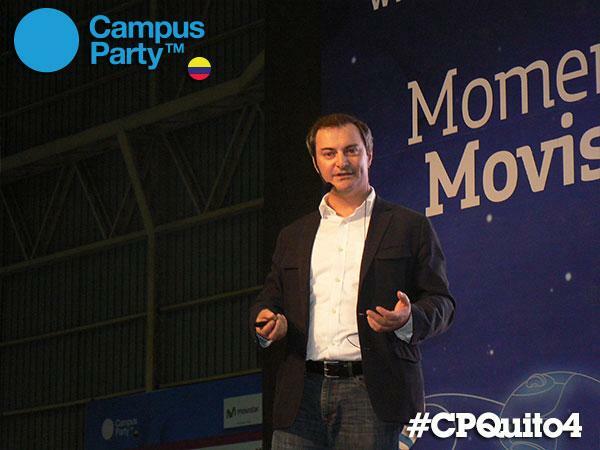 Together we can choose the right path and create a new operating system for our cities. Unfortunately, the technology industry continues to be a bad reflection of the diversity in American society. Together we have to fix this. For many of us there’s no news here. We know the hard facts and in the last year alone the media has called out many technology firms in Silicon Valley that have made slow progress in addressing a lack of gender and racial diversity. The ensuing embarrassment has created some momentum and here’s hoping we see real progress in the months ahead. The absence of diversity in many companies isn’t just about fairness and equality. Several studies demonstrate that it can impair economic growth; damage brand; and lower productivity. As one startling example showed: executive boards with greater diversity had a 53% better return on equity (Source: McKinsey). Any one or combination of these factors should be enough to compel organizations to be proactive in addressing this inequality. But in the technology industry and increasingly for most business domains today, a lack of diversity may be hindering the very thing we need in much greater volume: innovation. Put bluntly, the current state of diversity in the technology industry is materially impacting the marketplace of ideas. We’re limiting our potential to be more creative. Ideas and the refined mechanics to execute on them are at the heart of Silicon Valley’s success. In a healthy marketplace, ideas live and die on their merit as determined by a population. Assuming an idea emerges and it has the support to get a decent run at the market, it has a chance to succeed. But what happens when a voice with an idea is not given a chance to be heard? We exclude that voice from the marketplace of ideas. 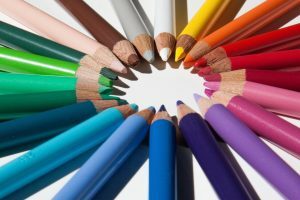 Since we know from research that diversity contributes to creativity, it should logically follow that less diversity equates to less creativity. We’re artificially inducing silence where there should be noise. What is the cost to society in never realizing these ideas and the positive innovation they could generate? With the 21st century well underway, the world continues to experience rapid urbanization. By mid-century, two out of three people on the planet will live in a city. These urban centers around the world are struggling to meet the significant needs ahead. Much of the infrastructure is in desperate need of repair and modernization; city services lag behind community expectations; budgets are stretched thin; and major transitions related to areas such as transportation, energy, and sustainability have all yet to play out. In this context, civic innovation and particular that powered by technology, becomes a central support and driver for necessary positive change. To make our cities smarter, healthier, and more responsive will require new talent, new perspectives, and new ideas. Simply put: If we’re going to meet the city challenges of the 21st century head-on, we’re going to need a lot of new voices at the table. For the past four years, I’ve had the privilege to lead a technology team that is pushing the boundaries of civic innovation at the City of Palo Alto. Being able to reimagine the possible and experiment with new ideas in the heart of Silicon Valley were among the core reasons I chose to take this public service journey. With eyes wide open, I anticipated that introducing some risk-taking into projects and elevating the strategic role of technology into city operations would not be easy. With City Council and leadership support, that’s what we’ve done. Mostly we’ve had good results and we’ve learned from our mistakes. While strong leadership support and Silicon Valley as our working backdrop have been essential components of helping our team succeed, I believe that more than anything, the top contributor to our ability to approach issues differently and to take greater risks has everything to do with our appetite and encouragement to listen to all perspectives. The diversity of our technology team, our City staff, and our community has directly contributed to a wider range of ideas; thoughtful perspectives; and a healthy amount of debate. In other words, we’re better because as best we could, we embraced diversity. Of course we also recognize we can do better. After all, our potential new hires and workforce can only be as diverse as the conditions we are all helping to create. A local government organization is a microcosm of society. If we don’t encourage, enable, and facilitate, for example: more women and minority groups to pursue careers in technology, we’ll continue to perpetuate our limited options. It’s clear then that if we’re going to address the complex challenges of local government and design and deploy more civic innovation, we’re going to need a more diverse set of voices at the table. Diversity in all its forms has become essential to the success of all of us. Sometime, hopefully in the near future, we will all be able to go to a technology conference and be warmed by the richness of differences in the audience. We’ll find the kaleidoscope of gender, race, age, ethnicity and more to be unsurprising. We’ll be struck by the range of ideas and perspectives in discussions. As I reflect on the diversity challenge ahead and the compelling urgency to see change, I’m left with two questions: What will it take to get us there and how fast can we make it happen? Together, let’s begin to answer those questions now. The open government podcast, a Canadian duo, interviewed me about the work the City of Palo Alto has been doing around government innovation and more. The interview is in two podcasts. Total time is 30 minutes. 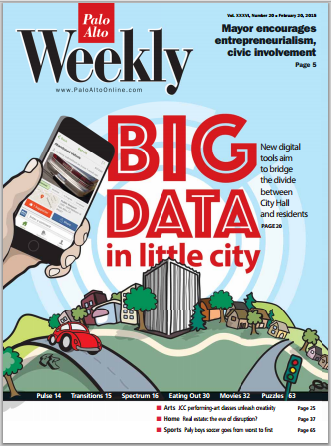 The Palo Alto Weekly features a cover story of my teams work at the City of Palo Alto. Click the image to read. Civic Innovation: Ready, Set, Go! One of the reasons I moved from a successful 20-year career innovating in the private sector to spending time serving the public sector wasn’t because it was a premier place to innovate. In fact, I was attracted to the public sector exactly because it was the opposite. During the 2000’s, looking across industry domains, it was becoming obvious that highly disruptive business transformations were beginning. From newspapers to telecommunications; from entertainment to banking; from healthcare to retail and so on, there was hardly an industry that was–or would be–untouched by the transition from analog to digital; from manual to automation; and from inefficient to optimized. But among all the transitional chaos, one big section of our economy was largely sitting idly, functioning poorly, and generally being bypassed by the energy seen elsewhere. This was the nation’s largest employer: the government. For me, and as it turns out a whole lot of other motivated people, this seemed like an opportunity to make a real difference. A lack of innovation was the incentive. For us, to push hard so that the spotlight, if just even partially, could shine some light on this neglected sector thus resulting in action, seemed a compelling mission. It was clear that a whole new mindset was required to transform government. For simplicity we categorized this work as civic innovation. Civic innovation means many things. It can capture the emergence of online services that help citizens avoid standing in line at a government office. But it can also mean the work that’s needed for us to build cities that serve the demands of our communities in the 21st century. It can mean rethinking how we power our homes; how we deliver and use transportation; and how we provide quality, affordable healthcare. It’s a broad area and I’ll keep it that way for the purpose of this short piece. It’s important to acknowledge that civic innovation per se is not a new concept. For sure, in many big, modern cities some amazing things have been taking place for some time. But civic innovation occurring in a handful of large metropolitan areas is not a movement that will touch the many millions of American’s who live mainly in small cities. That said, there are some clear indications that make a lot of us very optimistic. A new generation of public servants, from governors to mayors to a vast hierarchy of civil servants, are bringing to bear a new vision for the future. And most promising is the first real venture capital funds being committed to start-ups that want to compete in this under-served market. Money usually follows where opportunity lies. Most of this is not news to those of us who choose to serve in this way. We’re seeing the formation of national and international groups focused on civic innovation work such as open government and smart cities. Conferences and meet-ups abound. I write and talk about this area not to convert the already converted but to bring awareness to the vast majority who have little awareness of the emergence of civic innovation. It’s to provoke and inspire others to join in serving this opportunity. If the motivation isn’t altruistic for some, there’s an economic one that’s totally fair in an open market system. According to some estimates, the innovation needs of our cities may amount to a trillion dollar annual market by 2020. While so many of our economic sectors are continuing to shrink, government needs—particularly city infrastructure requirements—will balloon (I’m not referring to bureaucratic bloat, that’s a topic for another day). Communities are demanding more efficient governments. They also have high expectations for the way cities function. Many areas are already broken and much is on the brink. Solutions will come through public-private collaborations. Partnerships will need to emerge that bring together disparate stakeholders. What might that look like? Google, a company made famous for creating the world’s leading search engine, will need to seek partners to build cars for the software they’ve created to make those cars drive themselves. The future promises a surprising gang of heroes. Finally, why is civic innovation a race at all? I call it a race because we need go fast and we need healthy competition to drive civic innovation forward. While certainly clichéd, this is a race where we need everyone to win. If we want to see our cities get smarter and for our governments to become more efficient through digitization, we’re going to need the innovators, the investors, the skills, and the vision to sprint towards a better future. On one hot day last June, along with civic hacking events in 83 cities participating in the first-ever National Day of Civic Hacking, the City of Palo Alto, California, held an outdoor festival of civic innovation. 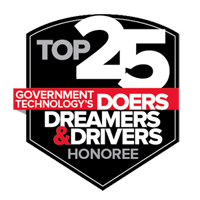 Approximately 5000 people showed up to discover and be inspired by a wide range of technology-related talks and solutions for delivering government in completely new ways. While some software hacking took place, the focus was on beginning both the education and conversation on defining civic innovation and answering why it is so important to all our communities. The festival was a success and was highly praised by the community and at a special event at the White House later in the summer. This year, as a follow-up and to coincide with the 2nd National Day of Civic Hacking, the City of Palo Alto decided it was appropriate and timely to move from facilitating the discussion about community-driven civic ideas to helping to provide a platform to build solutions. And from this the Palo Alto Apps Challenge was born. Palo Alto is a small, but notable city just south of San Francisco. It’s the birthplace and heart of Silicon Valley. The city continues to be a place where great ideas emerge and come to fruition. Ideas here change the world. As the local public agency, Palo Alto has both a responsibility to leverage this environment and experiment with delivering services that take advantage of both state-of-the-art technology and local talent. It’s now clear that many other agencies watch us in order to learn what works and what doesn’t; the good and the bad. All of these characteristics form the motivation for the technology-related projects we work on and the partnerships we create. The Palo Alto Apps Challenge helps to fulfill this responsibility. Through this multi-month, American Idol-style competition, entrants primarily from Palo Alto—but also from surrounding communities–submit app ideas that they hope to build based on the theme of civic engagement. The challenge is managed out of the City Office of the Chief Information Officer (CIO). Other departments assist as appropriate since an initiative such as this requires a wide variety of resources. Funding is largely through sponsors with the City only contributing a small amount for some project management assistance. The challenge is enthusiastically endorsed and supported by both the City Council and City Manager. The challenge works as follows. Ten finalists are chosen by a panel of judges—all Palo Alto residents with a technical or public policy background—and then the finalists must set about building a working prototype of their idea. Next there is a showcase event where the community is invited to learn about the finalist apps and to provide meaningful feedback. The last event is the grand finale, a televised and Web-streamed show that will highlight the apps and entrants and then elicit the audience and community to vote on their choice for winner using their phones and computers. There will be a 1st, 2nd, and 3rd prizes of $3500, $1000, and $500, respectively. Winners will also be offered free incorporation services should they decide to form a business for their app. Winner retain all rights to their idea and app. On one level the Palo Alto Apps Challenge is a practical and engaging event that should result in one or more solutions that provide value to the community. But we believe that this challenge is also about a deeper message. The future success of the US has much uncertainty. In the last few decades we’ve seen many of the traditional industries in America either disappear or be entirely reinvented. Anyone in the printed press industry knows exactly how this feels. The change is coming about as a result of globalization and massive automation. While many are pessimistic, within this shift is great opportunity. Automation is resulting in a world that is both software and data driven. Because of this, new skills and talent must emerge. As a nation we have to refocus on science, technology, engineering, and math (STEM)—and by the way, art too! Design is no longer an afterthought. The Palo Alto Apps Challenge is one way that one community can help to inspire a new generation of engineers and innovators. We never lose sight of this critical message and motivation. At the time of writing, the judges had just announced the top 10 finalists. In total, 74 ideas were submitted and 30% of the entrants were under the age of 18. The ideas chosen represented an eclectic variety of solutions. There are ideas for making it easier to find parking spaces; an app for giving a voice to youth on City Council items; an idea that adds gamification to the process of learning about the city; and a solution for crowdsourcing places that have good and poor support for physically challenged individuals. Next up, the 10 finalists will showcase their ideas at a community event at the Palo Alto Art Center. At the City of Palo Alto we’ve decided it can no longer be business as usual. 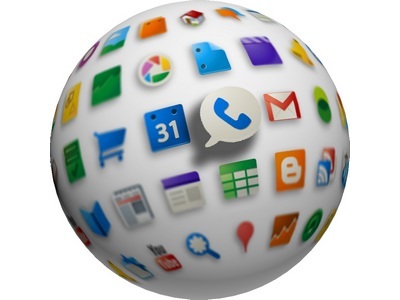 We recognize it’s not just about apps. It’s so much more. We are pushing the envelope on new thinking across our departments while also ensuring the important and routine work of government gets done. It’s a whole new day in local government and we are firmly engaged. A version of this article first appeared in the April 2014 edition of Transformations, the Alliance for Innovation newsletter. 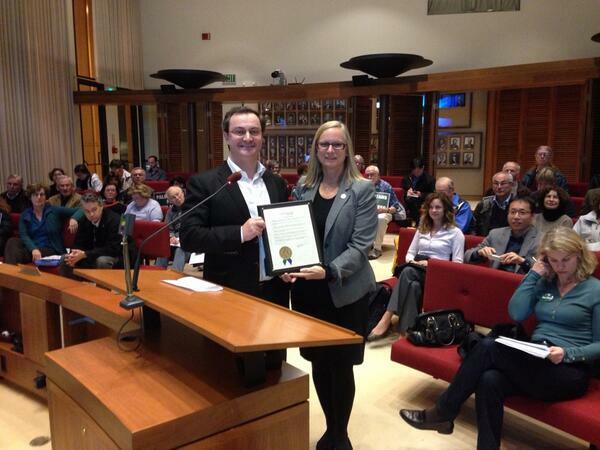 At a Palo Alto City Council meeting on Monday, Feb. 3, Mayor Nancy Shepherd read an Open Data by Default proclamation that firmly established the City’s long-term aspiration to be a model for open government. While still in the early stages of its evolution, Open Data requires a sustained effort to build momentum and become codified into the operations of public agencies. To this end, the City determined to move forward to be Open Data by Default. Under City Manager James Keene, the City had committed itself to be even more inclusive and transparent through the launch of an open data platform back in 2012. This open data platform makes a range of City data easily accessible to the community, and is hosted in a way that makes it easy for software applications to use. Open Data, first championed by the White House in 2008, has proven to build trust, provide essential transparency into the functions of public agencies, and to spur economic activity. Since 2012, Palo Alto has expanded its Open Data to include Open Budget, a repository and visualization of a five year period of City budget information, and OpenGIS, an experiment in making City geospatial data more easily available. For its efforts, the City has been recognized by California Forward who called the City, “a model for transparency in California.” The Open Budget application has received a state and national award, and the City’s work with Open Data has contributed to its designation by the Center for Digital Government as the #1 digital city in America in its population size category. A copy of the proclamation can be found here. Note: This post was adapted from the City press release I wrote for the event. In an era of government deficits, it’s comforting to note that there is an abundant surplus of data. But until recently, leveraging value from data beyond its initial creation and use has been difficult. Today, this picture is changing. A combination of new technologies and a more enlightened emerging leadership is finding innovative ways to put data to work. Beyond much desired transparency and accountability, making government data more easily accessible is creating a wave of valuable community applications. In this video, I discuss this topic, explore best practices, and share my thoughts on civic innovation. My 8-minute talk at CITRIS at the University of California Berkeley on September 12, 2013. The day-long conference was titled, “Can Open Data Improve Democratic Governance?” I was part of the day when we were asked to take a broad view of the opportunities and challenges presented by the massive volume of public data now available. We were asked to consider how governments and citizens can mine the advantages of greater information while also attending to concerns of privacy, equity and access? Every community makes it their business to know their unique qualities. Great communities systematically leverage these qualities to sustain and improve their city or town. At the City of Palo Alto, California, we are fortunate to have many assets that collectively make our community a desirable place to live, work, and visit. While qualities such as our parks and tree-lined streets are characteristics of our physical environment, Palo Alto is notable for a population with the highest percentage of graduate degrees in the state, an insatiable appetite for entrepreneurship, and a propensity towards technology innovation. This short article focuses on some of our efforts as a municipal government to specifically leverage our technology community. While the City of Palo Alto works diligently each year to sustain an environment favorable to technology innovators; in 2013 the City made two important decisions. First, the City Council voted to make technology one of three priorities for the year, and second, they encouraged the creation of an Innovation Council made up of qualified community members. In both instances City Council demonstrated leadership in supporting from the very top the important role that technology and innovation can play in the advancement of a City and in solving its stubborn issues. In forming the Innovation Council, the City continued a positive trend in engaging community members in a partnership with City leaders. Purely by coincidence, the Innovation Council was first tasked to be an advisory group for the City’s participation in the National Day of Civic Hacking—itself an exemplar for engaging a community’s technology community. CityCamp Palo Alto, our local event, was a huge success, bringing thousands of community members together to engage in a variety of civic innovation activities including brainstorming ideas for apps that solve local problems. The wisdom and guidance of the Innovation Council proved the value of engaging experts in our community. Other technology committees have been fruitful too. Emerging out of a poorly received municipal website redesign in the mid-2000’s, the City Council asked for the appointment of website specialists in the community to be part of an advisory committee for the next round of redesign. The City’s advantage in having experts in a range of Web skills was leveraged. The committee was made up of experts in navigation, content organization, search, and more. The committee was run by City leadership and staff. This committee was one of several reasons why the most recent redesign in 2012 was well-received by the community. As a demonstration of our commitment to this form of partnership, as Palo Alto begins to explore the possibility of bringing its existing fiber infrastructure (a service that currently only supports businesses, some government services, and schools) to homes in the City, a community committee will be formed. We’re confident a variety of broadband experts will step-up to help to advise our City Council and staff. In each of these examples, community is engaged and empowered to be part of policy-making and problem solving. An inclusive decision process means a more informed City Council and a richer, better represented democracy. Community members consistently tell us how much they appreciate the opportunity to be part of the process. In turns out that a new generation of technologists who by day create solutions for profit, will offer up their time to use their skills for social good. A government agency can convene opportunities for technologists to connect, collaborate, and produce real value for their community. In Palo Alto, using hackathons (time-bound software creation events) such as CityCamp; civic meet-ups (brainstorming between community and government leadership and staff); councils; and committees have, for the most part, begun to deliver on this promise. We’ve also offered our time as experts in government to start-ups that want to build and experiment with prototypes that can be later developed into solutions for the marketplace. This approach resulted in the creation of a well-received budget visualization tool for the City that went on to win a major national award. It should be made clear from the outset that there is a commitment required from all participants, both public and private. Turns out this is hard, detailed work. So when people volunteer, be sure to come to a common understanding of the effort expected. When community and local government work together, everyone benefits. Palo Alto’s technology committees, for example, have garnered great results. We learned that they need to have appropriate oversight and a continual flow of quality communication between all participants. But with the right people engaged, committed, and motivated, all of us gain the benefits of the outcomes. The following essay was submitted to the Alliance for Innovation by Jonathan Reichental (Chief Information Officer of the City of Palo Alto) and Sheila Tucker (Assistant to the City Manager) as part of the 2013 Transforming Local Government Conference. The essay summarizes work done at the City that resulted in the Thomas H. Muehlenback Award for Excellent in Local Government. Government is in a period of extraordinary change. Demographics are shifting. Fiscal constraints continue to challenge service delivery. Communities are becoming more disconnected with one another and their governments, and participation in civic affairs is rapidly declining. Adding to the complexities, technology is rapidly changing the way cities provide services, and conduct outreach and civic engagement. Citizens increasingly expect to engage with their government in much the same way they pay bills online or find directions using their smartphone where communication is interactive and instantaneous. The role of government of course is more complicated than simply improving transactions. To help navigate these challenges, the City of Palo Alto has focused its effort on new ways of thinking and acting by leveraging our demographic base, wealth of intellectual talent and entrepreneurial spirit to engage our community in innovative problem solving. The City’s historic advantages in innovative leadership create a compelling context to push the possibilities of technology to solve civic challenges. This case study examines how Palo Alto is positioning itself to maximize the use of technology to build a leading Digital City and make local government more inclusive, transparent and engage a broader base of its community in civic affairs. At a conceptual level, a digital city is a community where stakeholders (government, residents, businesses, and visitors) have multiple means of easily connecting and collaborating using Internet-based technologies. Data and information freely flows between all parties. The desired result is increased engagement, greater efficiency, more opportunities for public-private partnerships, and potentially lower cost services. The City is making an ambitious push to use and experiment with many different forms of contemporary technology. These include social networks, micro-blogging services, mobile applications, e-services, participatory forums, and an engaging Web presence. Most recently, the City deployed a platform that makes data that City departments collect and store more easily available to the public. The ease in which this data can be consumed by both community members and computer applications is reflected in its name: Open Data. Throughout the world, governments are making collections of public data more easily available and consumable on the Web. The type of data is varied and includes information about where taxpayer money is being spent and statistics on just about every aspect of government. This openness has enabled citizens to have greater visibility into the workings of their local, state, and federal agencies. In August 2012, the City launched its own Open Data platform (http://data.cityofpaloalto.org) so that the City could make our local government more inclusive, transparent and provide more connectivity to the community. Our City Open Data platform enables City staff to post valuable, non-private datasets online in a highly usable format that allows our community to explore and work with the data. Among the uses include the ability for software engineers to build innovative applications for use by our community and also for website visitors to delve into the data to find answers to their questions. This platform provides information through data in demographic, geospatial, and economic form. The site is constantly being updated with new data sets. To advocate and support new ways to use City financial information, in September 2012, the City added a new open budget tool (http://data.cityofpaloalto.org/openbudget). Palo Alto’s Open Budget tool provides easy, graphically-based views of five years of City’s financial information. Rich interactivity enables a leap forward from the current static budget document files posted online. Using a filtering menu, users can manipulate the data and create charts of exactly the slice of financial information most useful to them. Customizable views can be exported as a graphic file for use in presentations and documents. Additionally, all views can be exported in a spreadsheet format so that further analysis can be performed on the data or it can be used to power new, independently created applications. Open Budget makes City financial data more understandable, accessible and valuable for a wide range of stakeholders. Most recently, the City launched an open permit data set. The open permit data set allows public review of permit data. The data is refreshed daily. A once static set, the new platform continues the City’s commitment to transparency and is designed to engage developers and innovative thinkers to explore and share this valuable public data. This set makes data more readily available for civic innovators and application developers and enhances greater connectivity to the community. Deploying and experimenting with a wide variety of technologies to engage community does not come without its fair share of challenges. However, the City’s early work to use open data to begin to build a digital city has had overwhelmingly positive outcomes. Civic engagement today requires more creative approaches to engender a broader base of constituents. Cities must examine how to leverage the collective expertise, talents, and unique strengths of their communities to solve problems, improve government and create stronger citizens. Open data broadens the base of democracy and promotes efficiency and effectiveness in government by: involving communities in their government; promoting a shared responsibility for building strong, healthy communities; increasing government accountability; driving improved public services, and; feeding innovation and growth. While open data provides the elements that can be combined to inform the understanding of new problems in new ways, it is important to consider that: data analysis is only as good as the data; privacy issues should be considered at the forefront prior to the release of data, and; there are marginal costs to collect, manage, update and optimize data, and for communities to participate. While the future can appear to have intractable characteristics, leveraging our city human capital assets in this new era of emergent civic innovation is helping Palo Alto to chart a new course. In Palo Alto’s example, making data more easily available is encouraging application development; and collaboration and trust‐building between government and community. Building strong, healthy communities today requires greater shared responsibility between community members and cities. The emergence of compelling civic technology can offer a platform for this collaboration to more readily occur. On June 1, 2013, nearly 100 cities throughout the US brought together public and private sectors to use software, technology and ideas to build better communities as part of a National Day of Civic Hacking. In Palo Alto, I was the founder and creator of CityCamp Palo Alto, our event on June 1. Here is a video, produced by HP, that focuses on their important contribution and how it ties into their own strategy. The City of Palo Alto is creating social and mobile communities, and collaborating with citizens, volunteers, employees, partners and other agencies to change the way government is delivered. When US Navy warplanes returned to base after bombing missions during World War 2, engineers would use hacksaws to cut pieces off broken aircraft and apply them to good planes to get them to fly again. Thus, it is purported, the word “hacking” was born. Unfortunately, for many, hacking conjures up images of something sinister. And if it’s criminal hacking—using software skills to steal credit card numbers from banking systems for example—then it is a bad thing. However, the contemporary use of hacking is largely positive. Today, millions of people apply their creativity through hacking to make software and hardware do amazing things for all of us. Hobbyists that hack everyday objects have created a new global movement of “makers.” Engineers hacking at software through twisting and flipping code are churning out innovation from companies new and old, and they are launching hundreds of start-ups each month that will drive America’s future economy. If we are going to sustain America’s economic prosperity, we’re going to need a lot of hackers. Specifically, we’re going to need to inspire new generations of Americans to focus on Science, Technology, Engineering, and Math (STEM); competencies largely prerequisites to successful hacking. We’ll also need a healthy dose of creativity that will come from being exposed to various forms of art. So while our future is rooted in STEM, the A from art really makes it STEAM. While the private sector has thrived for several decades through multiple generations of hackers, the public sector—not an historic context for innovation— is being exposed to the benefits of hacking for the first time through partnerships with private sector hackers and through making government data accessible by computer programs. An emergent and highly promising hacker movement for government is now well underway. Equipped with empowering skills, software engineers, data analysts, entrepreneurs, artists, and others are applying their profession and passion to helping to solve seemingly intractable civic problems. Bringing together these disparate worlds is, in fact, quite magical and transformational. Public agencies across our nation desperately need help, and a new movement of civic hacking is a bright spot outlier. Through a mix of non-for-profit organizations, motivated individuals, and enlightened public leaders, new solutions are emerging that solve problems ranging from parking to budgeting, from transparency to disaster responsiveness, and from potholes to accountability. It’s early, but the promise is inspiring. If we want to change the game entirely for government and our communities, we’re going to have to scale up this new movement of civic hacking. We need to formally launch it and inspire millions to be part of this public-private partnership of action. And that’s exactly what we intend to do on June 1, 2013. Encouraged by the results of civic hacking events (often called hackathons) across the country over the past several years, including a notable and large event in downtown Palo Alto, California last year, the White House announced a National Day of Civic Hacking for the weekend of June 1 (Learn more here: www.hackforchange.org). Loosely guided by a small national team, cities across the country have been asked to consider holding an event that is commensurate with their experience and comfort level. These events can be run out of City Hall or led by individuals or groups within the community. The national guidance was clear: each event would be independent and managed locally. 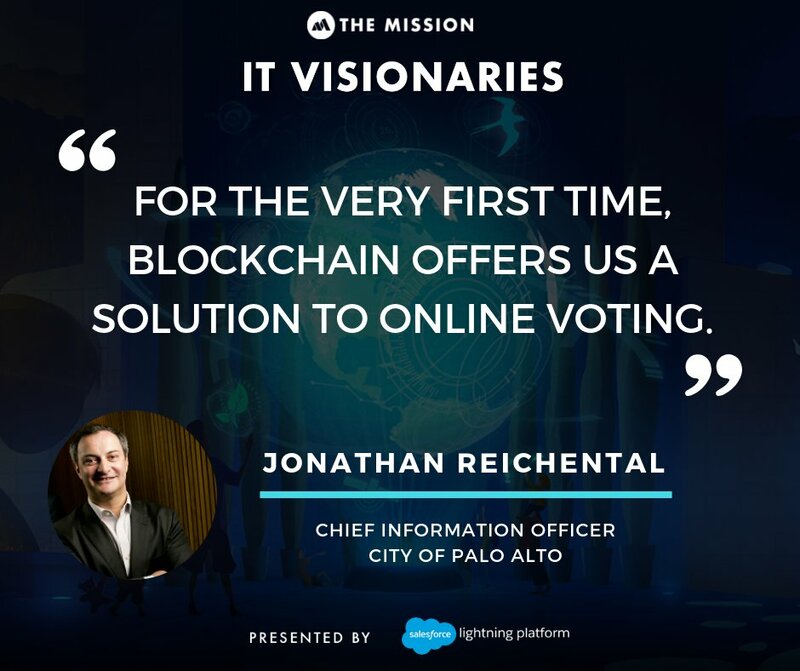 For us in Silicon Valley, and particularly Palo Alto—where plans were already underway for a large hackathon event—we jumped at the opportunity to align our efforts with this historic, national event. A culture where hacking is embedded in its DNA would have to be an epicenter of this movement. As Chief Information Officer (CIO) for the City of Palo Alto, I felt an obligation—supported by our forward thinking City Council, Mayor, and City Manager–to step up and deliver a great event and a potential model for other cities. Our vision was to host an all-inclusive community event. We wanted everyone across our city to participate. Activities would need to be diverse enough to appeal to many different groups. We pulled together a small core team to get working on the event, and also engaged our recently formed Innovation Council—a group of community volunteers helping to advise on decisions around civic innovation—to assist with idea generation and event planning. We opened up our contact lists to see which local enterprises, community partners, and businesses might be interesting in sponsoring the event. After several months of planning we’ve designed a wide-ranging day-long festival of civic innovation. Much more than simply a hackathon for software developers, our event dubbed CityCamp Palo Alto, includes arts activities, hands-on making, displays of robots and electric cars, expert talks by notable speakers from across Silicon Valley, an idea hackathon, local bands, local food, and much more. In addition, we’re receiving support in many forms from a stunning array of public and private organizations. Every event should leverage the qualities of their community. We’re privileged in Palo Alto to have an environment of such quality supporters to promote an event of this diversity. What Can We Achieve on June 1? We have three major goals for the National Day of Civic Hacking in Palo Alto. 1. First, we want to support and promote the national movement. We believe in it and want to play an important role in its success. 2. Second, we want to have an inspiring, engaging, and fun event for our community. This will be a first-of-a-kind festival that will be a mix of chaos and wonderment for everyone. 3. Lastly, and most importantly, we want to begin an ongoing effort to connect civic problems to civic solvers. On June 1 we expect that people will discuss, brainstorm, create, and prototype solutions. But what happens the day after and beyond? Of course, we’ll host more events, but our central goal is to inspire the spark that creates momentum all of its own. If CityCamp Palo Alto inspires the creation of even one important solution for our community or one new start-up that focuses on civic innovation, we’ll all consider that a huge success. For those of us lucky enough to be immersed in this space right now, we deeply recognize that something unique is happening. As more stakeholders get engaged, they are struck by the same thing. There is a lot to be concerned about in our country. There is a lot of negativity. Let’s be honest, there are large, complex problems to be solved. A national movement of civic innovation is a glimmer of positivity and a beacon of possibilities. Join us on June 1 in downtown Palo Alto from 11am – 7pm. Will you inspire and be inspired? Does social computing have a role in government? As of early 2013, there are over a billion active monthly users of Facebook and almost 700 million daily users. People from across the world use this social network to share and exchange stories, pictures, ideas, and more. These numbers suggest a compelling platform that is engaging humanity in a manner without precedent. Facebook and its competitors have convincingly demonstrated that people will share and collaborate with each other, and with strangers, in an inclusive manner not just for fun, but to make things happen. And yet, when most of the working population of those users goes to their places of employment, they use technologies that reinforce barriers to collaboration. Email—albeit an important business technology—primarily facilitates sequential and non-inclusive collaboration. Up until recently, the merits of social networking has had the hardest time successfully penetrating the enterprise. The tide is turning. Today, an increasing number of organizations are exploring, experimenting, and deploying social collaboration tools. They are becoming social enterprises. Why the change? It may be because of better solutions or more leadership support or greater recognition of its potential value. Perhaps it is a mix of all these things and more. But without a doubt, workers rising through the ranks today are more apt to try social networking in the enterprise. They have already accepted and blended the use of technology in their work and home lives. With enterprise collaboration in the private sector just entering the early majority phase of the technology adoption curve, where does that leave the public sector? As one would imagine, there are only a few innovative agencies that have taken the leap to build a social enterprise. Most notably the City of Boston and the State of Colorado have been pushing the envelope. With the recent deployment of a social collaboration platform citywide, we can now count the City of Palo Alto as one of those innovators. It all began in March 2012, when City Manager Jim Keene approached me and asked if there was a way for him to more easily communicate and engage with all City staff. There’s nothing I like better than a tough challenge to solve and this one met that criteria. We sought to keep costs as low as possible and at the same time to try to find a solution that was truly cutting edge. I also wanted to go beyond the original request and find a way not just for the City Manager to engage with staff, but for all staff to be able to connect more easily with each other, to share ideas and documents, and to solve problems together. If we could do that and more, we could create an agency that would have improved access to timely information and a platform to solve problems more quickly. This, we surmised, would have a very positive impact on the services we provided to the community. At the City of Palo Alto we have the responsibility and privilege to be a role model in how a public agency should use innovative technology to serve a community. As an example, last year we deployed an award-winning open data service. We didn’t just repeat the work of others; we applied new ideas and innovation to our solution. We know other agencies look closely at what we do as guidance for them. So rather than going down the well-trodden path, we often want to chart new territory. Of course, this strategy has implicit risks, but we don’t apply it to everything. It’s a deliberate and balanced approach for the right, qualifying projects. In April 2012, after extensive research, and the application of some of my own personal work experience in this area, my team and I decided to deploy a small, short-term experiment with Salesforce Chatter. While several impressive solutions met the basic requirements, Chatter was compelling because it was closely modeled after Facebook. It was also exceptionally low cost, and being a software-as-a-Service (SaaS) solution, it was easy to deploy. My expectation was that we would run the experiment for about three months and we would have around 50 early adopters. To my surprise many more people wanted to try it out. So the number of users grew very quickly. I then learned something important. With only a few months to try it, most users found this a deterrent since it seemed that it wasn’t worth the effort for the short amount of time it would be available. So I quickly made the decision to extend the experiment through the fall. In no time at all we had over a hundred users. Most were just viewers, with just a handful of staff brave enough to post items. Staff posted pictures and created groups. One particular group was used as a place to encourage members to eat healthier and do more exercise. Another group was for sharing tips and tricks for smartphones and tablet computers. These were not earth-shattering collaborations, but they showed the promise of collaboration in a manner that previously did not exist. I personally committed to posting and commenting—common features of a social network—and I encouraged the IT team to follow my lead. By the time we were reaching the end of the experimental period, it just seemed too premature to end it. More people were joining and there were good discussions about social networking happening at the organization. In late fall of 2012, we had over 200 people signed up. Again I decided to extend the experiment until early in the New Year. At that point, we committed to making a decision whether to deploy it citywide or shut it down. When my team and I reviewed the metrics in early 2013, the data was not overwhelmingly conclusive, but it was sufficiently persuasive to make a decision. In conjunction with our City leadership team and the City Manager, it was agreed to deploy Chatter citywide for a period of up to 18-months. On March 1, 2013, almost a year after we started to think about social collaboration at the City, we invited all staff to participate. So far, so good. Lots of curiosity and great questions. It’s far too early to know if we are on a course to change the nature of work at the City. We’ll gather that evidence over the medium-term. But we’re doing things differently and opening our minds to a whole new world. We don’t want to play catch-up, we want to lead. It’s beginning to be clear who gets it and who is still trying to figure it out. Of course, we have plenty of people who don’t get it at all and are not shy to share their view that it doesn’t seem to offer them any value. But isn’t that one of the greatest challenges of innovation? Those of us tasked with anticipating a possible future, even when we have little idea what that future will bring must push forward with our ideas despite enormous pressure from the naysayers and antagonists. If there is success, everyone wins. If there is failure, we learn something and then we apply those lessons as we move forward with other innovative experimentation. In 2004, nobody thought about Facebook. Nobody knew they would want it or even what value it could have in their lives. Less than 10 years later, Facebook–a social network–is one of the most remarkable phenomena of our time and a billion people discovered a new, fun and productive way to interact together. Can we do the same at City Hall? California Forward first reported on the city of Palo Alto’s Open Data Platform in August. The city is using technology to create a more inclusive form of local government. Months after its launch, we wanted to find out how if citizens are answering the call to become more engaged. California Forward is a nonpartisan, nonprofit organization working to bring government closer to the people and move the state in the right direction – forward. They believe empowered local communities are best equipped to solve their own problems, and there is a critical link between many of the problems that threaten our future and our state government, which has become ineffective, unresponsive, and unable to fix itself. Antonio Savarese, journalist for the Italian magazine Data Manager, on a recent trip to Silicon Valley, joined me at City Hall to discuss a wide range of items. His published interview with me is available here. In addition, he recorded an interview which can be found here. His questions allowed me to elaborate on some of the work my team and I are doing at the City of Palo Alto and also for me to provide my thoughts on the future of technology. It is a short 14 minute video. Data Innovation Day was held on Thursday, January 24, 2013. The purpose of Data Innovation Day is to raise awareness about the benefits and opportunities that come from increased use of information by individuals and the public and private sector. Events were held across the U.S. The following is my lecture at UC Berkeley on that day. The city of Palo Alto, Calif., is stealing an idea from the commercial technology industry to improve services for its residents. In this video, city CIO Jonathan Reichental offers lessons learned from Palo Alto’s use of Lean Startup principles during several recent technology projects. The Lean Startup approach — which lets users test unfinished versions of new apps and websites — is routine in the commercial space. Now it’s catching on in government. Making your agency’s data easily accessible to community members and computer applications has the potential to be a public sector game-changer. We call this process and capability: open data. In addition to increasing transparency and accountability–which can lead to greater trust with constituents–open data can enable innovators to build useful applications; analysts to find helpful insights; and innovators to create derivative value. Done right, there is little downside and a high-value upside. Looking across the U.S. today, we’re seeing an increasing number of federal, state, and local agencies embrace an open data future. However, despite all the advantages, many agencies are deterred from implementation because open data has the appearance of being complex and expensive. At the City of Palo Alto, we deployed our initiative in just a few weeks and at very low cost. Here are the five general steps that we performed. Follow these and your agency could quickly be serving up data to your community. In my view, there is no doubt that this is the most important step. Much like any project, if leadership doesn’t get the idea and its value, you are at a significant disadvantage from the outset. Start with an overview of open data. Reinforce it through multiple channels. Facilitate a discussion with your agency leaders. 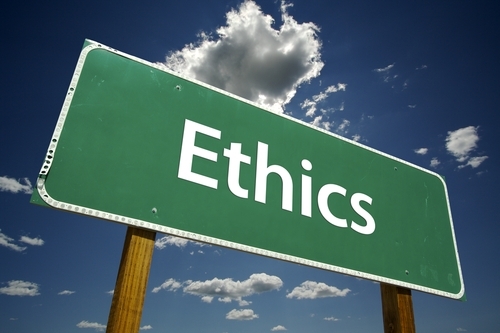 Initially focus on the transparency and accountability qualities (the monetary benefits will likely come later). Get your technology team on-board. Be sure to attain a few champions from across the organization. Ask leadership for support to move forward. By this step, your agency is well underway with its open data project. You will want to acquire some early success, so keep the goals modest and measurable in the short-term. A reasonable plan may take the form of getting a few, non-controversial datasets on your agency website with an accompanying communications plan to get your community engaged. A medium-term plan will likely include posting some of the more valuable datasets such as agency financials. Leave long-term plans as more of a visionary stage. It’s too soon to understand the ultimate impact of open data. The question I get most often is whether open data first-movers are concerned about information privacy. You bet we are! In reality, the bulk of agency data doesn’t have a privacy quality to it. This is data that is fully subject to applicable disclosure laws and is already recognized as useful to your community. In your work to get your open data project up and running quickly, find the datasets that are easy to attain and to the extent possible, have no controversial aspect to them. Fortunately, in an era of deficits, it’s comforting to know we have a surplus of data. I’ll dispel another myth now. You don’t need complex and expensive software to get your open data platform deployed. In fact, your open data platform could be as simple as a single webpage with a table of links. Don’t get stalled by analyzing the marketplace and then struggling with an extensive procurement process. Sure, there is now a healthy amount of competitors in this space including some open source (usually free and community-built) solutions. Proceed as appropriate for your agency, but don’t be deterred by the technology. Moving fast with any project means making trade-offs. The most notable trade-off is having a less-than-perfect product on day one. Some capability–albeit likely somewhat flawed—may be the right price to pay for getting features quickly into the hands of users. That’s a core principle of the start-up community in Silicon Valley and its one that government could benefit from. Once the product is in place, go back and fix issues and implement missing features. Of course, let your community know that this is the approach. They will likely be happy to be part of this iterative feedback process. And of course, continuously learn what works and what doesn’t work along the way. If you’re uncomfortable with any parts of the plan I’ve laid out above, then to some degree I’ve succeeded. Doing things differently and challenging the status quo should look and feel strange. The future of successful government requires that we do a lot of things differently. In his second guest column for EfficientGov, Palo Alto CIO Jonathan Reichental looks at the Open Data movement, and the criticality of “open government” in the 21st century. Despite the fact that we face an increasing scarcity of valuable resources, one area of growing abundance is data. From information-producing activities such as the global supply chain, to our own personal behaviors, the digital world is producing data on a mind-boggling scale. At a recent conference, Eric Schmidt, the chairman of Google—an organization that knows a thing or two about data—stated that every two days we are creating the same amount of information that we did from the dawn of civilization to 2003. On this scale, we no longer refer to it simply as data, we call it big data. 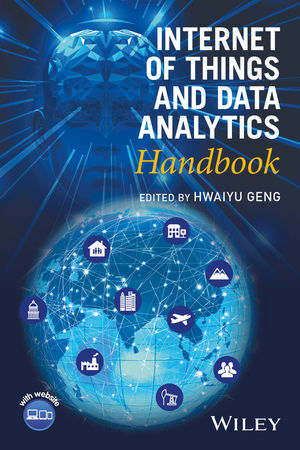 As devices and behaviors produce increasing volumes of data, a new visibility is emerging. For example, look at the insight we get from Google searches that result in a better understanding of the spread of seasonal flu. We are able to see formerly hidden patterns and make more-informed decisions. Organizations know more and more about you. Privacy is quickly becoming irrevocably passé. Mass production turns into mass personalization. Data at our fingertips is changing the way be live. We’re moving from a post-industrial economy to a data economy. Regardless of whether your agency has 10 or 10,000 people, it’s a safe bet that you’re producing and storing data; it’s the one area where there is no deficit and no future likelihood of one. If we consider data as a valuable resource—which we should—then we’re all in a surplus position. That’s happy news for a sector so beset by negativity. That said, sadly, converting that surplus into value for the communities those agencies serve has not yet been broadly realized. In short, governments are mostly sitting on an abundant resource, neglecting opportunities that could—if leveraged correctly—produce enormous benefits for their communities. What is this government data that I’m talking about? On the federal site, Data.gov, there are almost 400,000 sets of data. These cover every type of subject one could imagine. For example, there is the visitor log for the White House; the register of all federal government contractors; and unemployment statistics. There’s data on energy, health, manufacturing, and education. And these are only the datasets that have been posted for easy consumption; there are many more that still need to be posted. And this phenomenon is not restricted to the federal level. On the city and county data website for San Francisco, for example, there are local crime statistics, and the location of every movie made there since 1924. My own city, Palo Alto, posts a variety of data that includes details on all our trees—a most revered Palo Alto resource—and demographics. In addition, we recently posted five years of financial information, which is data that taxpayers care deeply about. But what’s so novel about posting government data? Many will point out that we’ve been doing that since the first public Web sites arrived back in the 1990’s. There is truth in that statement; however, the current trend has a distinctive advantage to it. This data is being posted in a form that can be more easily used by Web and mobile applications. That means it’s more accessible, and this is no small point. It’s called Open Data. If the data is available for software engineers, data scientists, and other interested stakeholders, then all manner of new solutions can be built. These solutions won’t get built by cash-strapped public agencies; rather, they will be created by the private sector, activists, residents, and other interested stakeholders. Already, citizens from across the nation are applying their skills to build useful applications such as apps for smartphones that have exceptional utility for communities (EfficientGov recently highlighted some of those apps and local efforts, including ours in Palo Alto, here). It’s a win-win: public agencies incur little or no cost, and the community receives the benefits. Many communities host “hackathons” to promote their Open Data initiatives. These are events at which software developers focus on spinning up new applications—sometimes in a matter of hours—using a variety of datasets made available by the city. In Palo Alto earlier this year, we shut down a city block and 2,000 people turned up to build applications, create art, and network with one another. We’re only at the very start of realizing the value of Open Data. One could easily imagine a time in the not-too-distant future when data is available to citizens at the moment of its creation. For example, an agency makes a payment for a product, and that transaction is immediately published and available to interested parties. Not only does real-time publishing create unprecedented transparency and accountability, it also makes the consuming applications vastly more useful. I believe Open Data is foundational to building and enabling a digital city. This Open Data drives the development of useful applications; it is a convener of public-private partnerships; and it is a prerequisite to open government. And if your goal is to simply enable a lower cost and efficient manner to deliver your public agency services, then Open Data is still foundational. Believing that Open Data requires significant technical expertise could not be further from reality. The biggest hurdle to enabling Open Data is recognizing it as an important part of your agency’s future, and then acting on it. Then focus should be on data value, not the volume of datasets. There are many vendors ready to help any size agency, and the costs can be low enough for most to afford. In fact, with a little technical help—either from within your organization or by a willing volunteer in your community—there are Open Source solutions that can be deployed at negligible cost. Open Source is not the solution for everyone, but it’s certainly an option. I’ll concede that this is a complex space, and any discussion here can only be superficial. While the dialogue is underway in some niche circles, I think it’s time for a broader national movement. We have to get the data topic on the table and start talking about how we can make it work for our citizens. That’s my goal here: raising awareness to provoke you to learn more. Let there be no doubt: Managing data and its value represent a core competency for both private enterprises and public agencies, from now and into the foreseeable future. Those that recognize this and assign priority to a data strategy will soon see benefits. Are you ready to make data a priority? Are Cities Prepared To Get Serious About Technology? This post first appeared on September 13, 2012 on EfficientGov as part of a guest column called Reichental’s Digital City. Although attribution remains contested, Einstein apparently said that insanity is, “doing the same thing over and over again and expecting different results.” Regardless of who said it (and I’d never miss an opportunity to reference Einstein in my writings), the provisioning of technology in a city context today often has the hallmarks of insanity. With a painful consistency of missed project deadlines, cost overruns, and disappointing results, why is city technology still approached and delivered time and again in a manner that almost assures failure? It’s a tough and sobering question to ask and a difficult one to solve too. It means looking deeply at leadership, at our tolerance for risk, and most of all—in my opinion—at a government’s capacity for innovation and internal, cultural reinvention. As a traditional laggard in our economy and yet an obvious mechanism for helping to solve many of the most intractable issues that cities face, the delivery of municipal technology is postured perfectly for transformational opportunity. It’s time for city leaders to face this head-on. It’s clear that many leaders are beginning to see the opportunity. There are now many openings for city chief information officers (CIOs), a great sign that there is recognition of the strategic value of technology in delivering government. I’d also like to see more of the larger cities begin to think about hiring chief technology officers (CTOs) too. Why? With a greater focus on community-facing automation, cities are increasingly in the business of delivering technology-driven products and services. Assuming that the right candidates are being hired and positioned for success, these cities are taking one of the right first steps. But it’s only a start. Regardless of whether new technology leadership is installed or existing management is given a new mandate, the sobering reality is that the entire value-chain for technology enablement must be redefined. This is because, for decades, the model hasn’t changed. It’s stuck in an old world of poor incentives and traditional approaches to technology that have been superseded by new, innovative models. These are models that are being embraced in the private sector and other models for innovation that are unique to the distinctive needs of the public sector. Simply put: because it has too! Leaders in the private sector have embraced technology for moving their organizations forward. 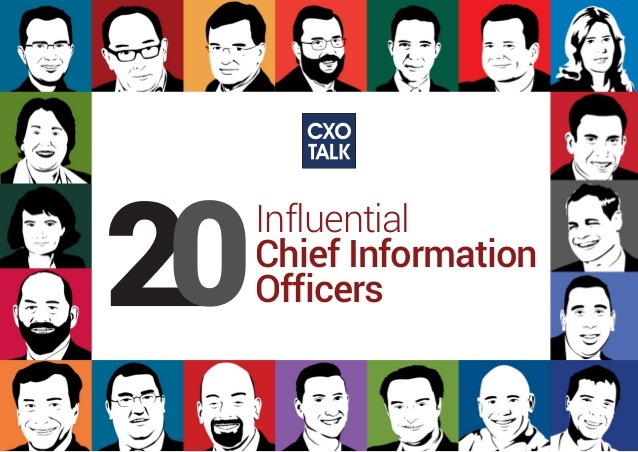 No longer relegated to a supporting role, the CIO is at the leadership table helping to develop and grow businesses by enabling new products and services. This is because marketplace forces require a new approach. Stand still and you face being trampled on by the competition. Similarly, cities face enormous market changes—for example: flat or declining revenue sources and increasing expenses. Stand still and a city will face compounding and devastating consequences. Thus, if city leaders still believe that technology is simply for providing email and a website (of course exaggerated to make my point), they are missing the clear opportunity for technology to reinvent the very manner in which city government is delivered. Let me be fair though. Across our country there are great examples of cities doing amazing things with technology. They are pushing the boundaries of what is possible. It’s impressive and refreshing. Sadly, these cities still represent a minority. My call to action is for the thousands of other cities still nervously eyeing the future and failing to act. In my view, it always starts with recognition of the problem. If your city technology continues to fall below expectations, costs too much money to maintain, and isn’t able to keep up with the actual needs of the city, then you have an environment that is ready for reinvention. Next, you need to take a look at leadership. Is your technology leader, CIO or IT director, skilled and empowered to shift the existing struggling paradigm? Do they have what it takes to change the game and embrace innovation such as that which is happening in the private sector? Recognition of the problem and ensuring you have the right leadership are two important starting points. Unfortunately that’s when the hard work starts. In America we don’t have a history of letting big problems deter our resolve to find solutions. On the contrary, it’s in our DNA to face these problems head on. Our cities are entering a crisis period—many are already there—and these problems need solutions. While these seemingly intractable challenges will take multidimensional approaches to solve, I’ll bet technology will be a significant contributor. We can’t keep doing city technology the same way. That would be insane. Palo Alto’s Open Data Platform: What Transparency Looks Like? Pete Peterson, Executive Director, Davenport Institute for Public Engagement and Civic Leadership at Pepperdine’s School of Public Policy; his essay on his discussion with Jonathan Reichental on City government innovation and, in particular, his observations on Palo Alto’s open data work so far. 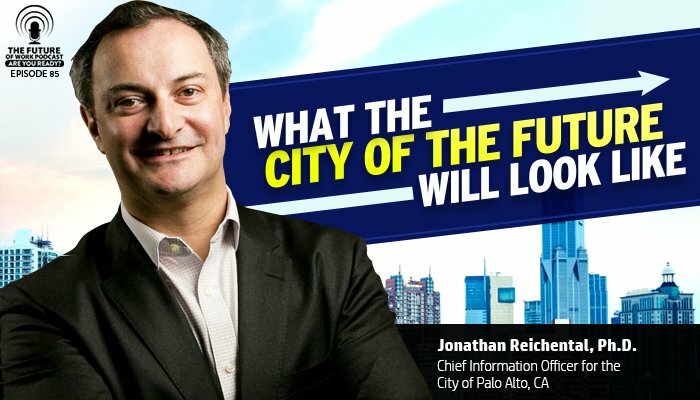 Mashable spoke with Palo Alto’s Chief Information Officer Jonathan Reichental and City Manager James Keene, who are at the forefront of the city’s open data initiative, to learn more about the project. Luke Fretwell, founder and editor of GovFresh, conducted an interview with me on the work we are doing at the City of Palo Alto in rethinking and reinventing the delivery of local government. In a wide ranging discussion we cover topics such as open data, hackathons, cultural change, and the importance of leadership support. You can listen to the interview here: CLICK HERE. I am thrilled that our vision for Palo Alto as a leading digital city is a cover story today in the Palo Alto Weekly. The story does a great job of covering the highlights of our work over the past few months. We’re experimenting with new ways of delivering service in local government and it’s getting the attention of media, our community, and other cities. Mayor Yeh, City Manager Keene, and I couldn’t be more pleased with our progress. We’re ready to take this work to the next level. Links to story attached. Palo Alto, CA – [Press Release] After an extensive search for the leader of the City of Palo Alto’s Information Technology (IT) agency and the City’s technology initiatives, City Manager James Keene announced his selection of Jonathan Reichental (Ph.D), currently Chief Information Officer for O’Reilly Media, as the City’s new cabinet-level CIO. 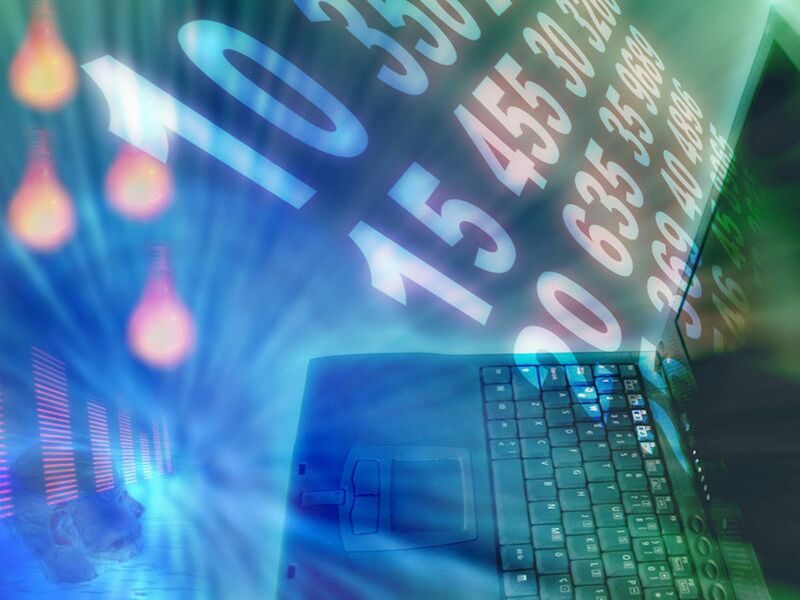 The search for a new CIO to lead the City’s restructured IT operations yielded 147 applicants. 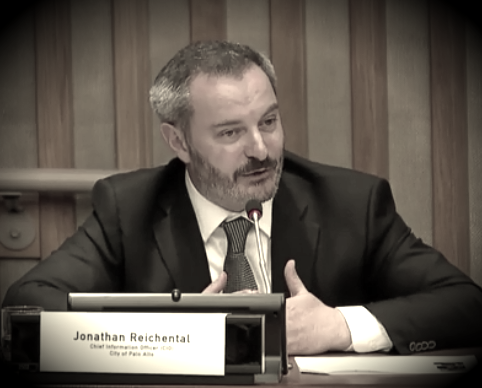 After an intense review process that involved Palo Alto technology company executives, peer CIOs and a number of City representatives, Keene selected Dr. Reichental. Before joining O’Reilly Media, Dr. Reichental served as Director of IT Innovation for PricewaterhouseCoopers. Early in his career, Dr. Reichental served as a technology consultant with Avida consulting in Dublin, Ireland. Dr. Reichental will lead a staff of 30 with an annual combined operating and capital budget of nearly $14 million.